Karen S. Goins ACC, CPCC, SPHR is an Executive Coach, Facilitator, Consultant, Speaker and Author. The vision of KS Goins & Associates LLC is to develop great leadership skills in those that influence the masses. Our clients include goal driven executive leaders, middle managers, high impact individual contributors, leadership teams and emerging leaders. Our mission is to work with our clients to create a positive behavior change that is beneficial to themselves and the organizations they serve. We provide calm and direction to career chaos, and provide solutions to challenging career and team obstacles. Our associates consist of talented executive coaches, consultants and HR professionals. A former Fortune 500 executive, Karen’s firm, KS Goins & Associates LLC, specializes in developing talent through leadership coaching, workshops and educational programs. She also inspires and educates via professional speaking and meeting facilitation. As needed, the organization partners with an extended family of consultants, change agents, human resource professionals and coaches to serve our clients needs. Karen’s background includes 23 successful years in corporate America and community service. As the director of Global Human Resources at a Fortune 500 company, Karen designed and led the firm’s global HR initiative and led a multimillion-dollar human resources transformation project. Karen’s background also includes leadership positions in manufacturing, union negotiation, engineering, procurement and product development. Karen has inspired learning in thousands of individuals in small and large group settings. She speaks on The Art of Resilience, Leadership and Influence, Persevering through the Noise, and Compassionate Accountability. 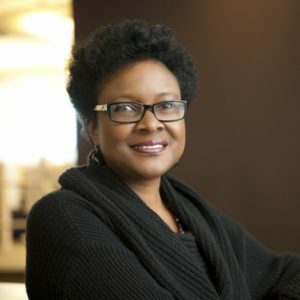 Karen has served on the Corporate Advisory Board for the University of Michigan College of Engineering, is an affiliate coach with The Sloan Group and BPI Group also a facilitator for Felix Global (Toronto). She works with various community based organizations and travels the world to bring about positive change. She is a member of ICF, ASTD and SHRM.